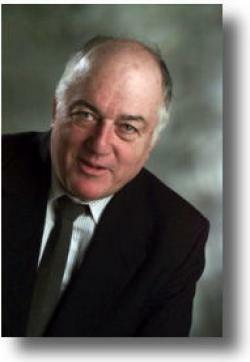 Prior to founding Celletech John Cain, President, studied Homeopathy in the United States, Canada, and Italy. He purchased the Homeopathic, Chicago based pharmacy, Erhart and Karl in the early/mid 1970’s. Mr. Cain studied Life Sciences at the University of Wisconsin in the late 1970’s as a special student, (Pharmacy School, Physicanns Assistant Program and Medical School). From 1975 through the late 1980’s Mr. Cain ran the world renound Erhart and Karl, started in Chicago in the 1900’s. After completing his studies he moved the company to Madison, Wisconsin its home for the last twenty-eight years. Today, Mr. Cain is a Master Homeopath and runs two corporations with nine divisions. The corporations are housed in their own facilities, allowing Mr. Cain the freedom of designing his facilities to meet current and future customer needs. Mr. Cain regularly consults and counsels with MD Physicians, Registered Pharmacists, Retail Stores, DO’s, Chiropractors, and others to solve health care related problems and issues. Ten years ago Mr. Cain began the Cell-Ag Division of the organization.. He now consults with Dairy Farmers, Veterinarians and others to serve the needs of the Organic Dairy Industry in their quest for good herd management of their Organic feeds. In 1988 Celletech began manufacturing Micro-Nutrition Plus™ creating Cellular Homeostasis through Homeotherapeutics. In 1990 Celletech™ became the first Homeopathic, over-the-counter drug manufacturer in fifty years to be registered and regulated by the FDA. Establishment #2130351, FDA - NDC #057471. This stemmed from FDA Regulations requiring companies to choose a regulatory “category,” between food, cosmetic, prescription drug or over-the-counter drug At the time, the best “fit” was Homeopathic Over-The-Counter Drug manufacturing facility for a Medical Practice (Homeopathic Clinic) of five (MD) Physicians. In 1995 Celletech™ introduced a new, proprietary, higher quality, higher efficacy, pure and natural production/manufacturing system. In 1996 National Homeotherapeutic Products Corporation™ was started to become the Marketing and Sales Agent for Celletech, LTD. and other companies that the organization was representing. In 1998 one of Celletech’s™ clients, utilizing our human products due to numerous allergic reactions asked us if we also produced health care products for the Dairy Industry. As a university researcher in sustainable agriculture, our client related that Mastitis was a huge problem for the natural and organic Dairy Farmer. As a result, Cell-Ag™ was created. In 1999 Celletech™, after protracted discussions with the FDA, voluntarily stopped manufacturing Homeopathic (OTC) Drugs. At the same time Celletech voluntarily, choose not to renew it’s Wisconsin Drug Manufacturing License. Celletech became a Dietary Supplement Company under the direct (day to day) oversight of the Wisconsin Department of Agriculture and continued to be reviewed by the FDA because of its inter-state sales of Dietary Supplements. In 2000, Celletech™ became the first company in America to become the only Homeotherapeutic Dietary Supplement Company. As a result, Celletech™ offers pure and natural Micro-Nutrition-Plus™, natural Homeotherapeutic Health Care products creating Cellular balance through Homeostasis. Celletech™ continued to use the same proprietary manufacturing system (from 1999) that guarantees the availability of over 29,000 custom produced, standardized and consistent products, incorporating digital code (not unlike the digital code found in a computer). This makes Homeotherapeutic Products unique from all other health care products. In 2002, Celletech™ became Kosher. This process further guarantees the cleanliness and dependability along with the assurance that one of the most influential Koshering agencies reviews our manufacturing regularly. KOF-K is one of the leading Koshering agencies in the world. Therefore, all products manufactured and produced by Celletech™ are made in our Kosher Certified manufacturing facilities with ingredients that are Certified completely Kosher. Also, that same year Celletech™ was given a permit by the ATF/DEA to manufacture edible tablets. In 2007 Celletech re-applied for and was granted a manufacturing License (#387-44) by the State of Wisconsin Pharmacy Board and the Department of Regulation and Licensing to produce HPUS Homeopathic over-the-counter drugs.